Stephen Hill has been producing fine Concert and Flamenco guitars since 1985, following a short apprenticeship as a cabinet maker. Early on Stephen studied guitar with Paco Pena, Juan Serrano, El Carbonaro and others in Spain after building his first flamenco guitar in 1988. During this time he spent many hours in the workshops of Manuel Reyes (Cordoba), Antonio Marin Montero (Granada) and other legends of the guitar making world. Following closely the Spanish tradition, Stephen acquired the skills of his craft through hard work and isolation, travel and contemplation, and the a gradual refining of his sound and style over many years. From 1998, Stephen began to spend more and more time in Spain while running a thriving workshop in Lewes, England. But in 2004, he permanently moved to La Herradura by the coast in Granada province, Andalucia, the home of legendary Andres Segovia. La Herradura is also home of the Andres Segovia International Guitar Competition. In addition to building guitars, Stephen teaches the art of guitar making for 2 months every year to students from all over the world. Stephen is the founder, director and Master Builder of the European Institute of guitar making based in La Herradura, Granada. 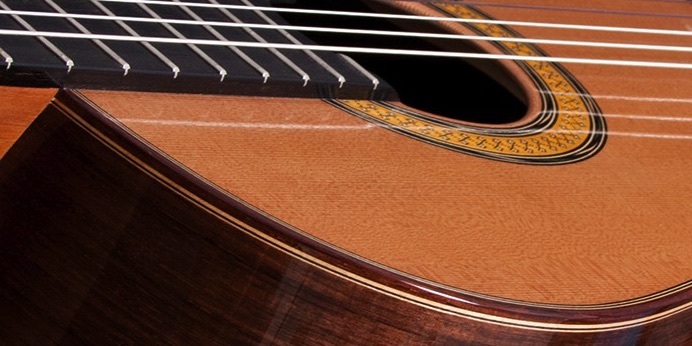 Stephen also does high quality restoration work and has worked on some of the finest guitars in the world including Antonio de Torres, Hauser, Fleta, Bouchet, Manuel Reyes, Ramirez, Fabricatore and countless others. The opportunity to examine and appraise these historic guitars has added to his experience and knowledge as a veteran builder.